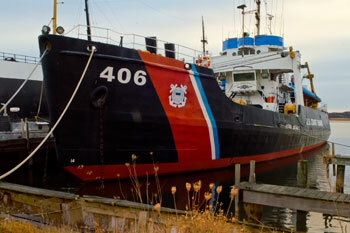 Manistee plays host to two retired seagoing vessels, the Steamship City of Milwaukee and the U.S. Coast Guard Cutter Acacia. The two ships are permanently docked off Arthur Street in Manistee and are open for guided tours from June to mid-September. Self-guided tours are available on the Acacia during all open hours. Volunteers from the Century Boat Club have worked on restoration projects including stripping paint from the walls of the pilot house, recovering tables in the dining hall, and installing new chair rails and baseboards in the aft pilot house. Other projects involve stripping floors, replacing floor boards and polishing the brass fixtures in the pilot house as well as stripping the original wood floor and staining it. 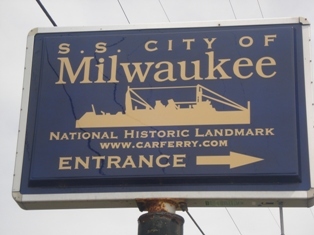 Guided tours are offered on the hour aboard the S.S. City of Milwaukee during open hours of operation in the summer; all tours of the S.S. City of Milwaukee are guided tours. Self-guided tours of the USCGC Acacia are available during open hours. The ships offer unique overnight lodging experiences to groups and are perfect for Scout groups, church groups, family reunions and more. Arrangements for group overnight stays are by reservation and cost anywhere from $45-$85. 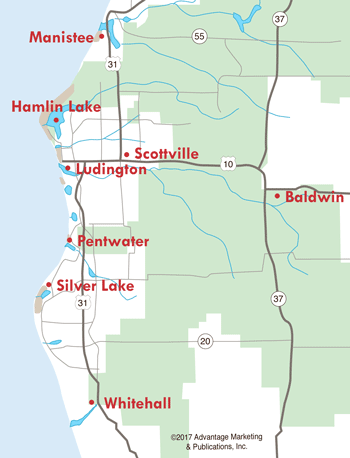 Call (231) 723-3587 for availability of lodging or to make a reservation for your next event. This part of Western Michigan along the Lake Michigan shoreline was once the home to numerous carferries that sailed to Wisconsin. One of them was the S.S. City of Milwaukee. 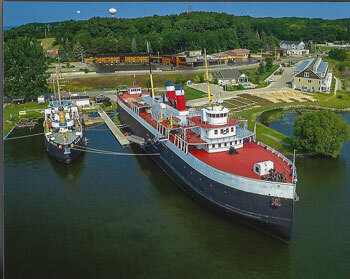 Built in 1930 by the Manitowoc Shipbuilding Company, the S.S. City of Milwaukee measures 360 feet in length and at the time of active service, could hold an entire freight train and 300 passengers. The vessel was retired in 1981 when the State of Michigan halted cross-lake ferry service and was declared a National Historic Monument in 1990. The ship was towed from Frankfort to Manistee in January 2000, and moved to its present location in 2004. The S.S. City of Milwaukee is open for guided tours, where you can visit the cavernous car deck, engine room, officers quarters and staterooms. If you're having a special event, such as a wedding or party, you can rent the ship for a specified time. The waterfront setting, along with large deck spaces, makes this a unique venue and one that will be memorable to your guests. 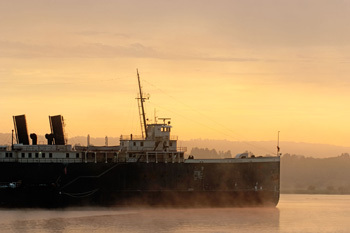 In October, the S.S. City of Milwaukee is transformed into Manistee's Ghost Ship on Fridays & Saturdays. The Ghost Ship is open 7:30pm-10:30pm. The ship is the venue for a thrilling and scary adventure. Travel through five decks and 72 stairs, some quite steep. Not recommended for children under seven. Tickets for everyone are $10. Read more about the Manistee Ghost Ship or call (231) 723-3587. Located at 99 Arthur Street (US 31). Other spooky events in West Michigan are listed within this local Halloween story. The marina where the S.S. City of Milwaukee and the USCGC Acacia are moored is right on Manistee Lake, with access to Lake Michigan. Amenities offered include restrooms, showers, picnic tables, and fish cleaning station for both seasonal and transient boaters. The Victorian Port City of Manistee is proud of its two famous landmarks...the S.S. City of Milwaukee and the USCGC Acacia. For information about the spooky transformation of the S.S. City of Milwaukee during the fall, visit our Ghost Ship story.